The play occurred in the fourth quarter Saturday when Colorado linebacker Jacob Callier (No. 44) tackled Martinez around his legs. Martinez suffered an injury to his right knee that required an MRI but revealed no ligament damage. 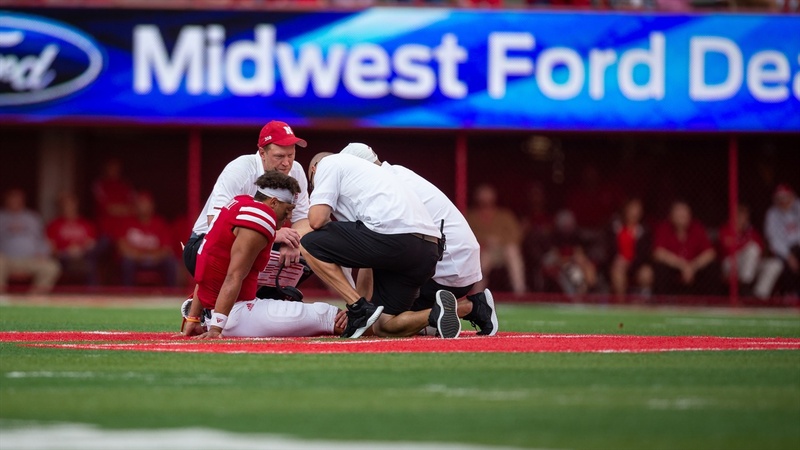 On Monday, head coach Scott Frost said the Huskers got back "as good of news as we could have" regarding Martinez's health, but that they would be looking into the play further. Frost was careful not to say there was malicious intent on the play, but Nebraska felt strongly enough that it should at least be reviewed that the Huskers sent the clip to Big Ten and Pac-12 officials for review. Martinez has missed all three practices this week since. He has had a sleeve covering his right knee since Saturday's game.